The Furrow helps John Deere connect with farmers. Content marketing can help brands interact with their audiences, and in 2019, an engaged, addressable database is one of the most valuable assets any company can have. 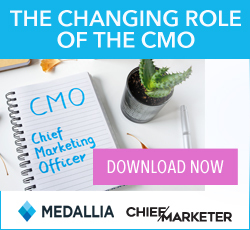 “I love the art of advertising and the classic art of direct marketing, but it is different from content marketing,” says Robert Rose, founder and chief strategy officer of The Content Advisory, the consulting arm of Content Marketing Institute. The job of marketing is to generate demand for what you are selling. Good marketing generates interested visitors who become shoppers, and then hopefully customers and then ideally advocates advocates. Success is measured, of course, by cost per acquisition, cost per lead, cost per customer or cost per thousand. Content marketing is about bringing people into your sphere of influence, and turning your anticipated audience into your engaged audience. Those who are engaged will do things in a greater force to serve your business needs, says Rose, who was a keynote speaker at LeadsCon Las Vegas. Engaged audiences can then be turned into addressable audiences such as podcast listeners and Twitter followers. Then, a modeled audience is even more valuable still, because you can measure your audience against your modeled goals. Different companies have different models of content marketing. A departmental strategy runs in only one area of business, while an integrated business strategy runs through the entire organization. There are examples of numerous B2B and B2C brands who have successfully evolved their strategy, notes Rose. — Arrow Electronics, for example, has a dedicated team designed to create audiences. It discovered that electrical engineers get most of their post university education from websites and journals. 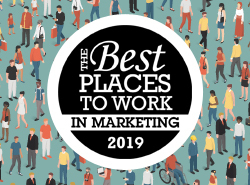 As the publishing industry contracted in their space, Arrow saw an opportunity to connect with audiences using content.. Today, Arrow estimates they can reach 76 percent of their total addressable markets through webinars, email newsletters and smart use of data. 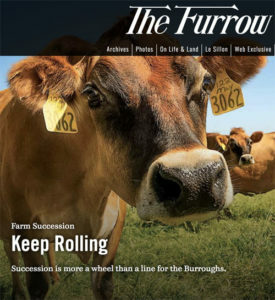 — John Deere’s content and publication team created The Furrow, a print and digital magazine to help engage farmers with the brand. The magazine helps drive interaction and lead gen through the dealer network; subscribers must sign up through the dealer they purchased from, giving the dealer and opportunity for up-selling and cross-selling. — Symantec evolved their content approach from a campaign-focused demand gen team to a team focused on audience building and creating content for marketing. The proactive editorial strategy pulls together content for four blogs. — Johnson and Johnson learned that active audience participation can feed discovery and insight for brands. The CPG reaches 40 million moms with its content; online, it can test headlines and messaging to see what works best and then use that language in other marketing and advertising. “It is an invaluable resource,” he says. To succeed, brands need to evolve their strategy and know what exactly they want their content to accomplish.